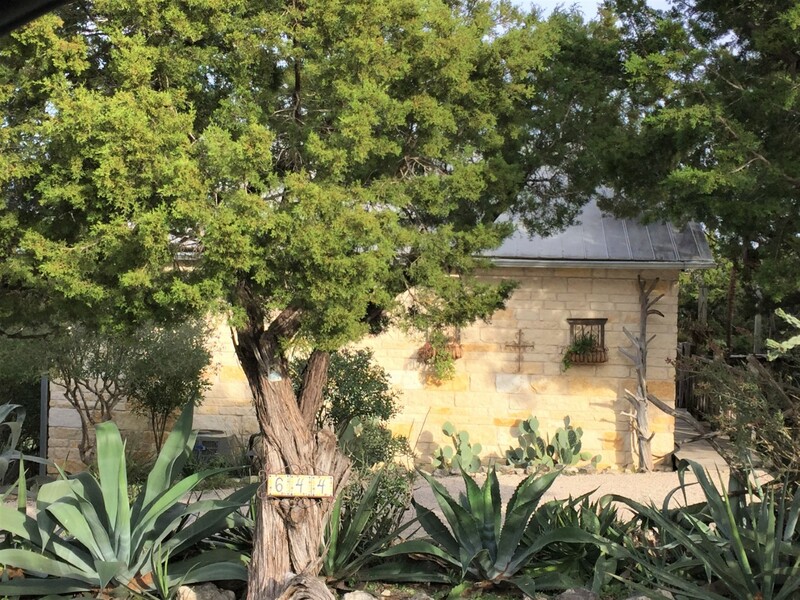 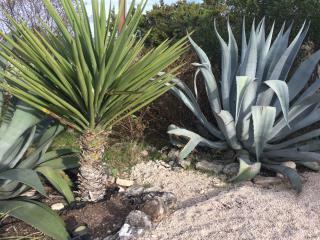 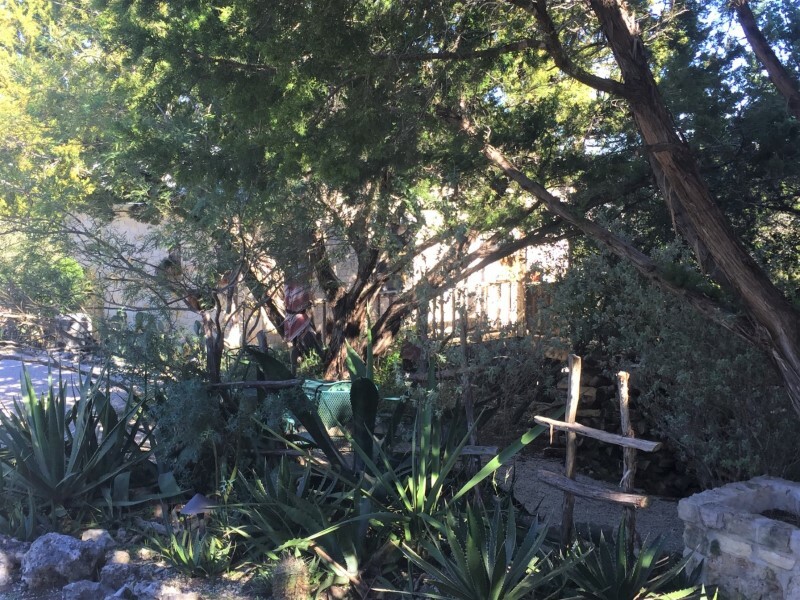 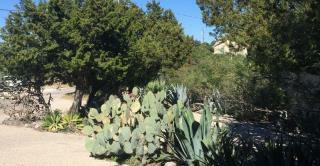 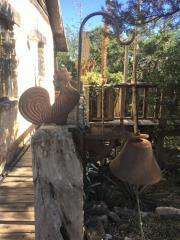 La Casita is a heartwarming cottage nestled privately among massive agave plants, lush palms and cedar trees. 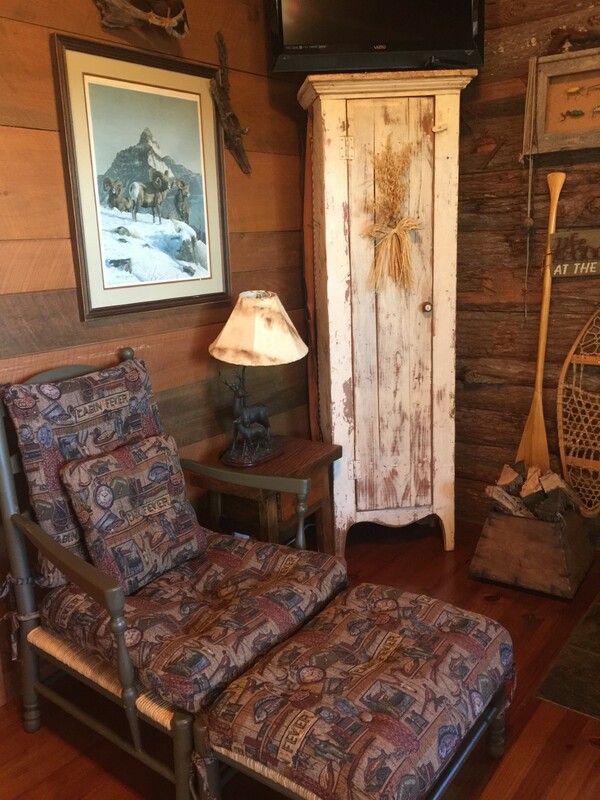 Elegant and sophisticated on the outside, cozy and enchanting on the inside, this cabin will melt your heart. 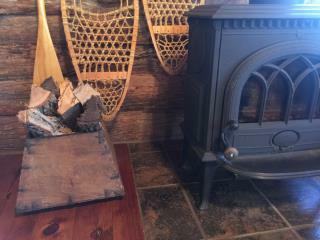 Amid the solitude, start your day by stoking the fire of the wood burning stove while making morning coffee. 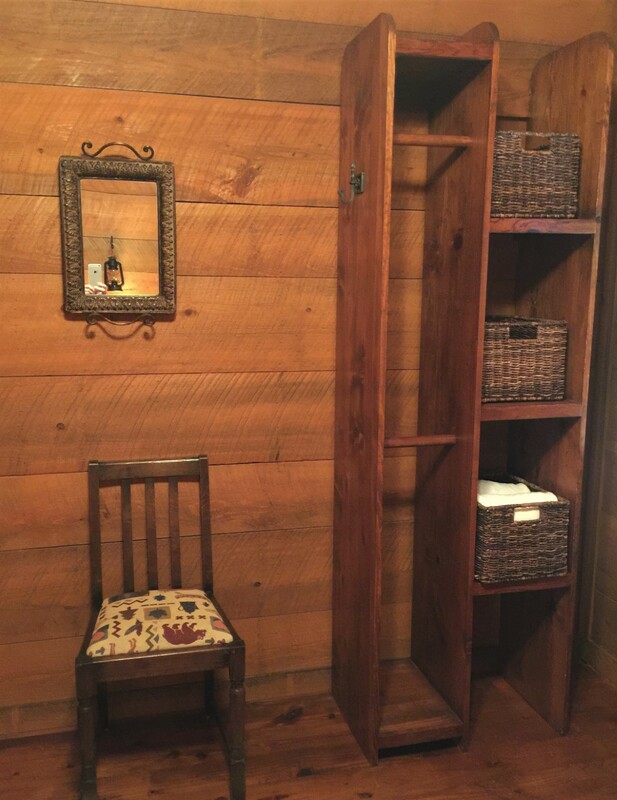 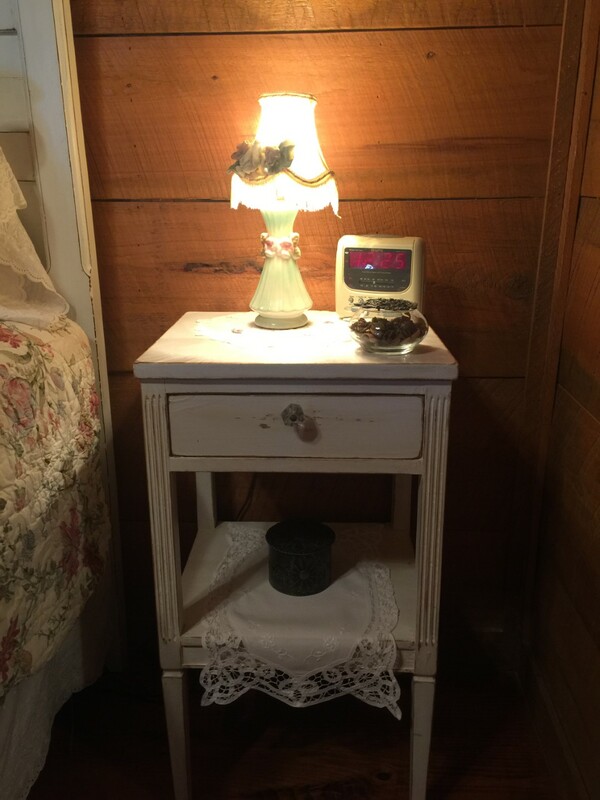 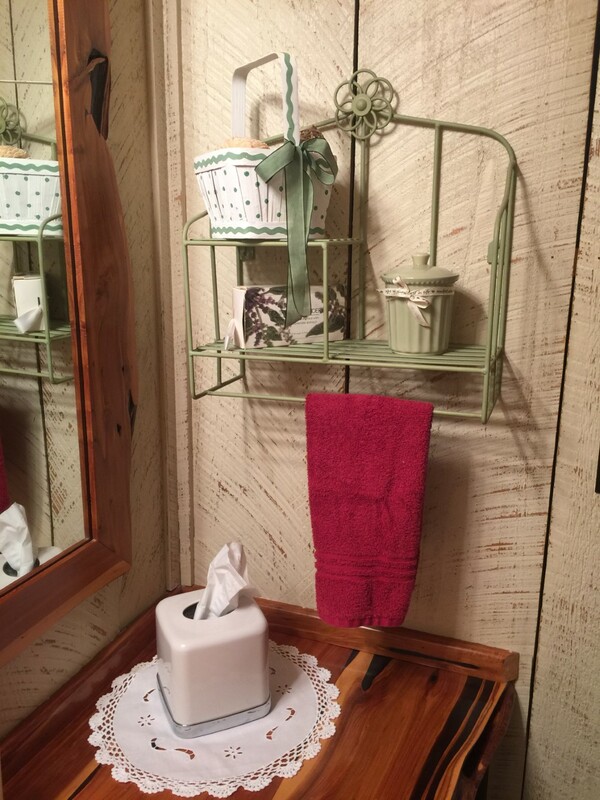 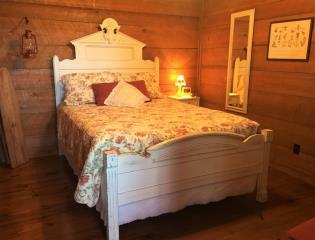 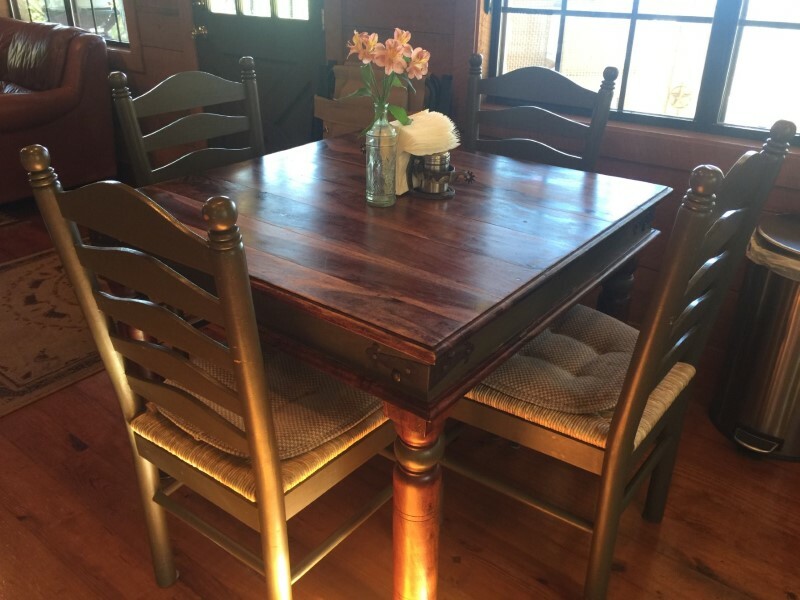 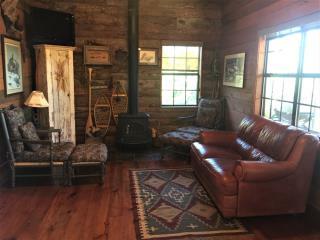 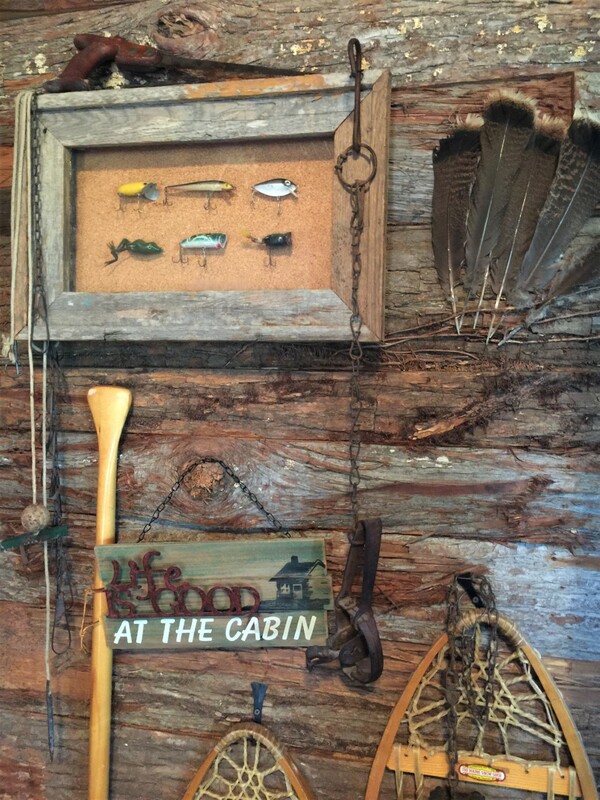 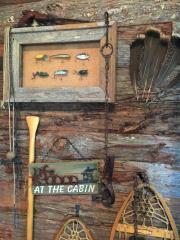 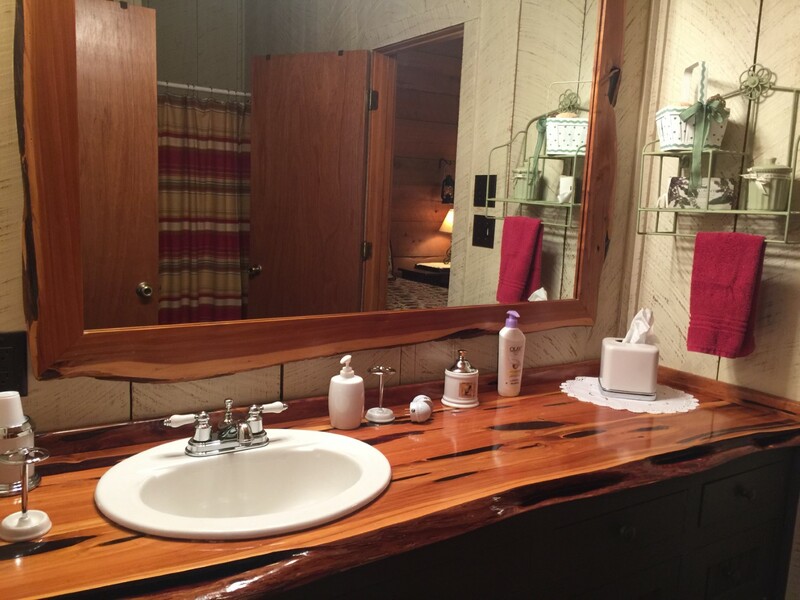 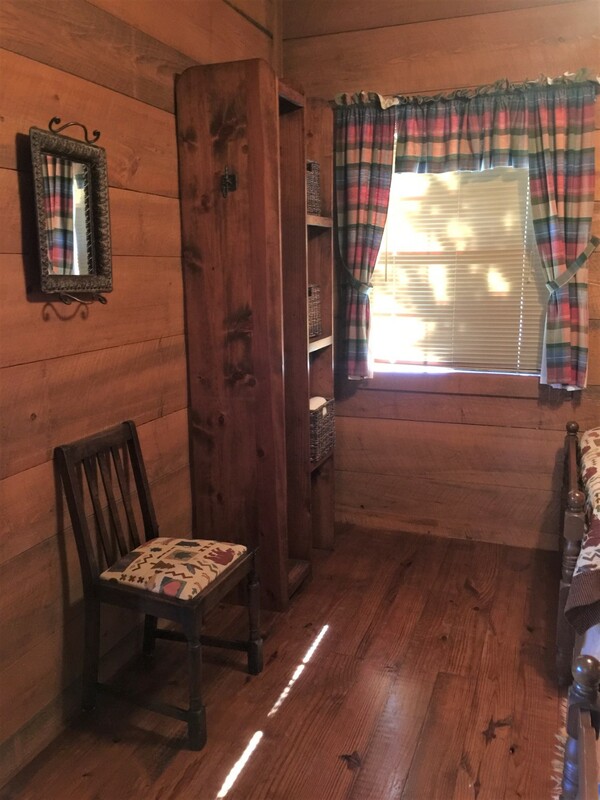 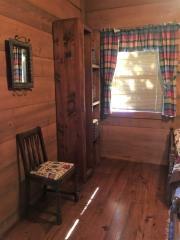 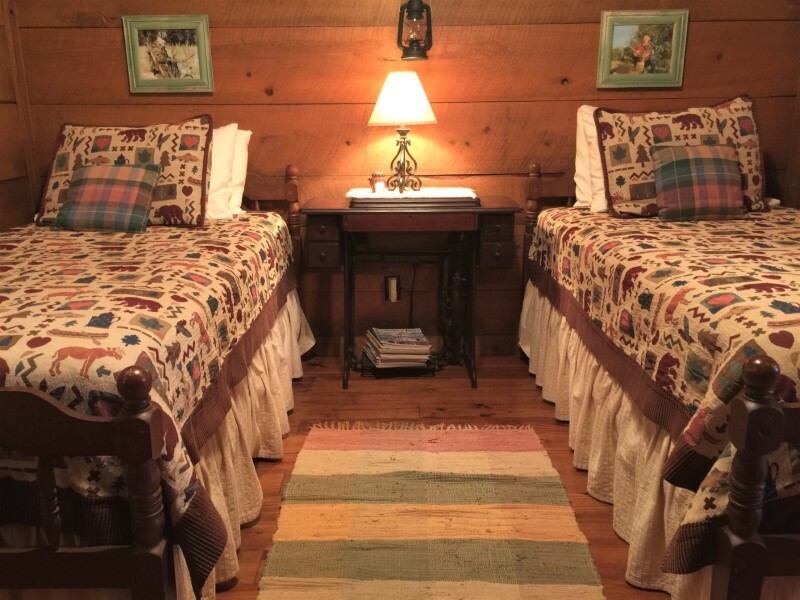 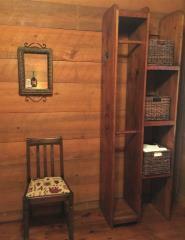 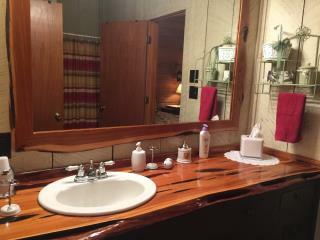 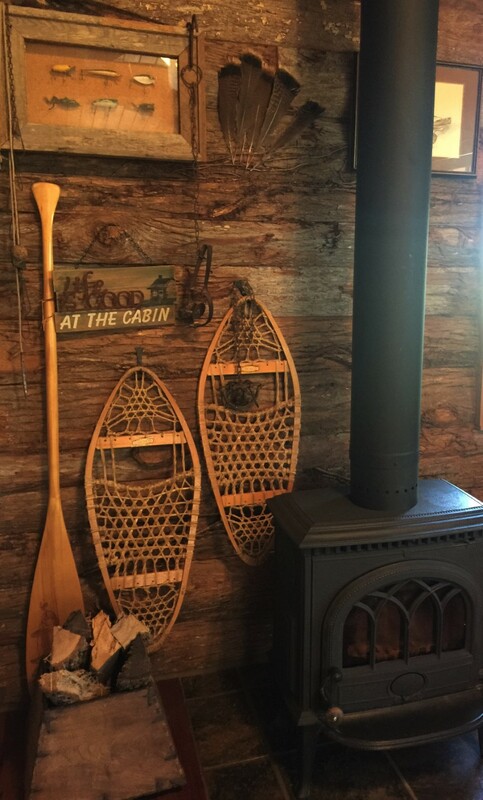 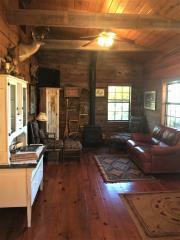 This charming cabin is simply and thoughtfully furnished, with every detail inviting you to slow down and stay a while. 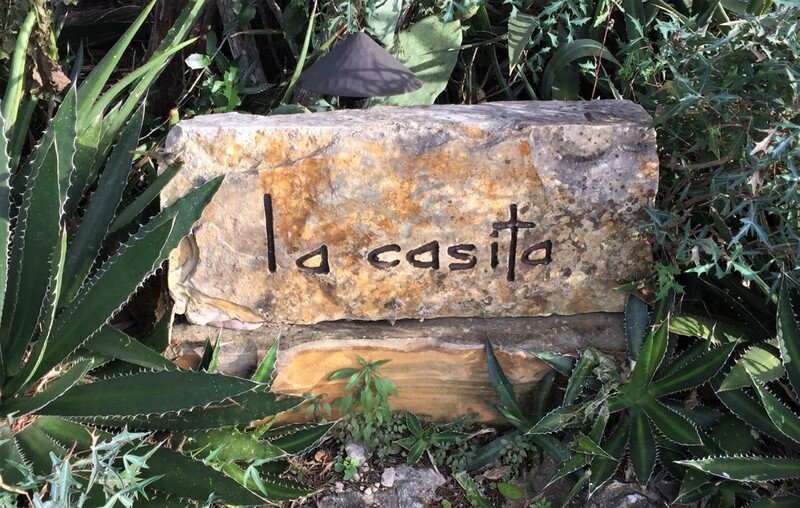 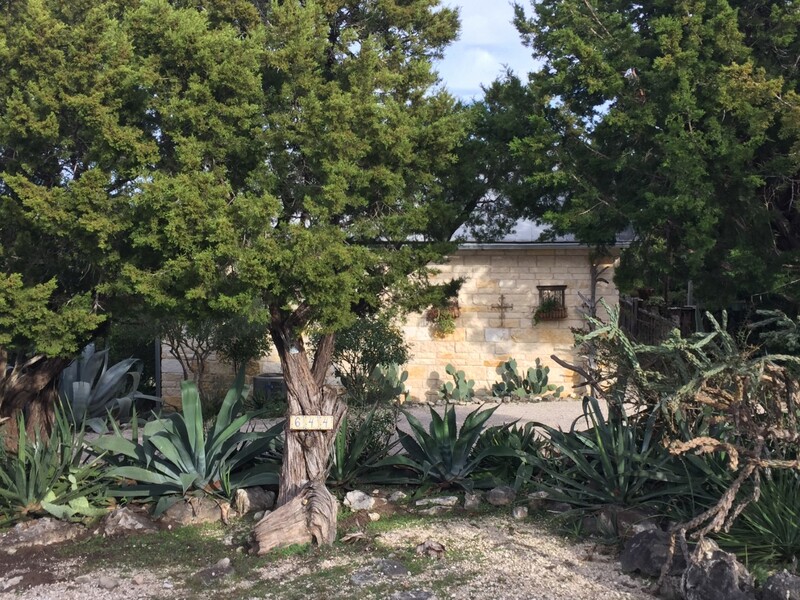 For those seeking the ultimate in spectacular Frio Valley views and exceptional tranquility, La Casita is the perfect place to escape from the ordinary. 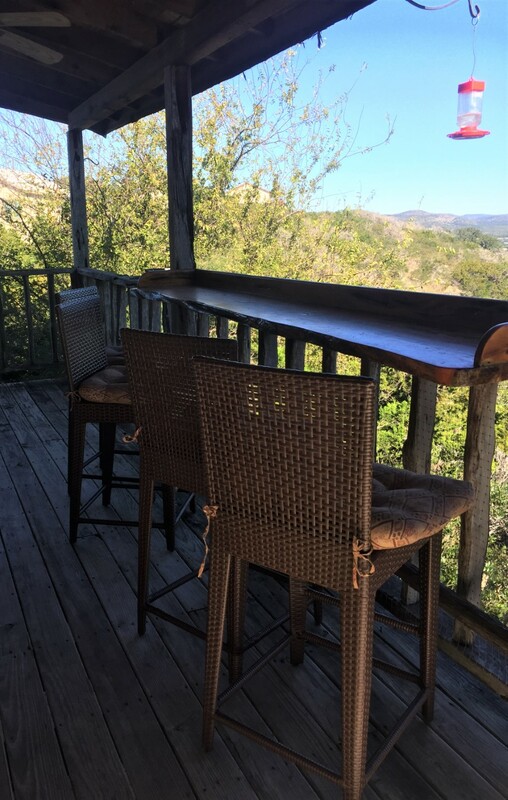 This expertly built, white rock cabin is the coveted guest house to a spectacular estate high in the clouds, yet only 5 minutes to the Frio River. 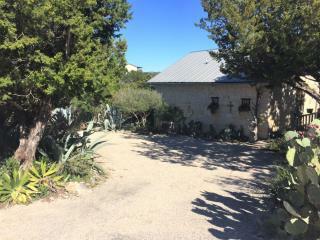 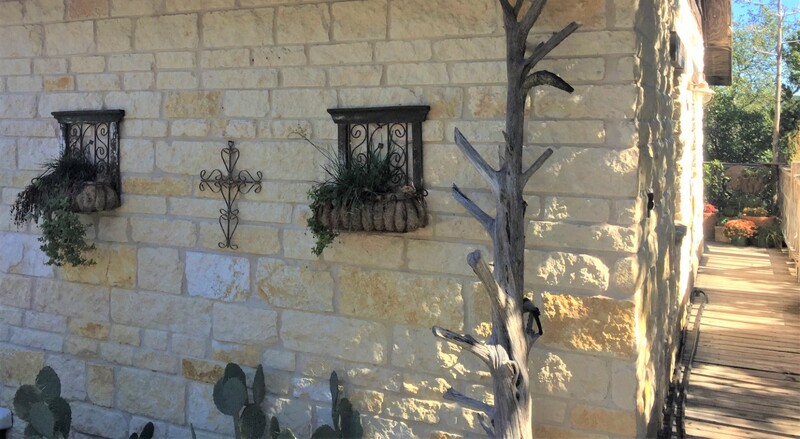 Park in the circular driveway and walk along an elevated pathway to take in the sheer beauty of the mountain range and Frio River Valley below your private covered deck. 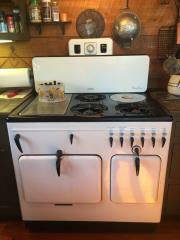 There is a BBQ grill and outside burner on the deck. Once you enter La Casita, you immediately feel at home. 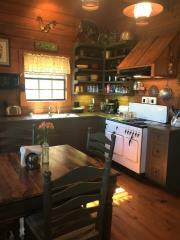 The kitchen, dining room and living room are one large, open concept room, yet there is a thoughtful balance between the dark barn wood, vaulted ceiling and light streaming in through the widows. The expansive blue skyline envelopes the living room walls of rich natural hue of aged timber that frames the picture perfect views. 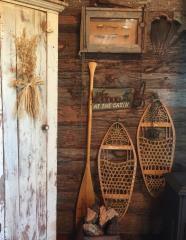 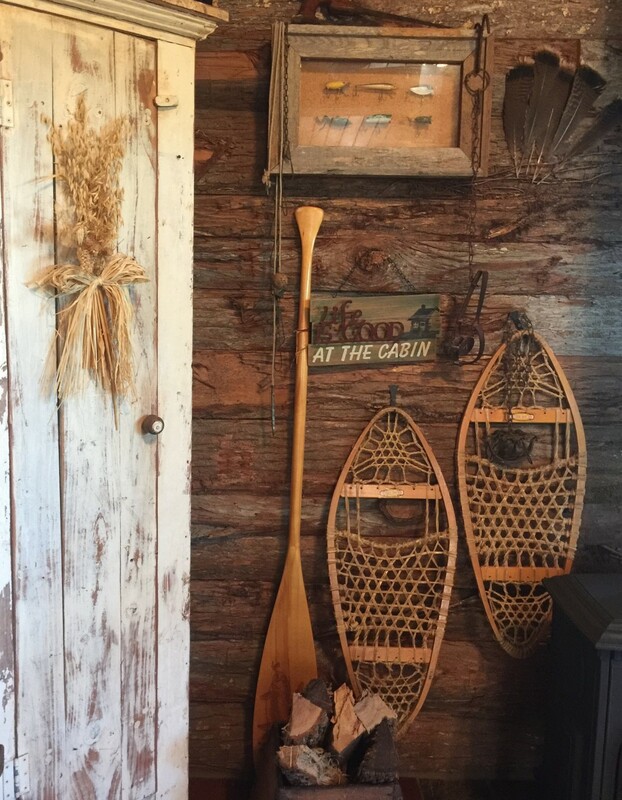 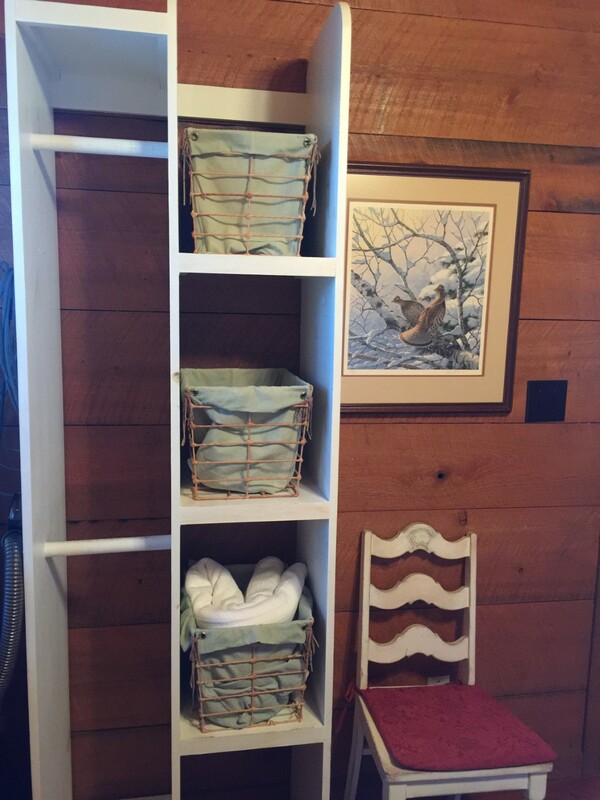 Your eyes will be drawn to the homey room filled with ducks, deer, snow shoes and other outdoor nostalgia. Antique dining room lights cast a romantic glow from the ceiling beams and hanging wall lanterns are next to the beds for added character. 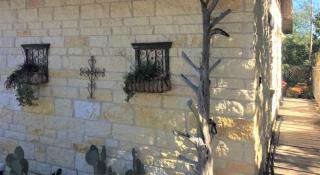 As night falls the outdoor lighting illuminates the walkway and deck to soak in the ambiance. 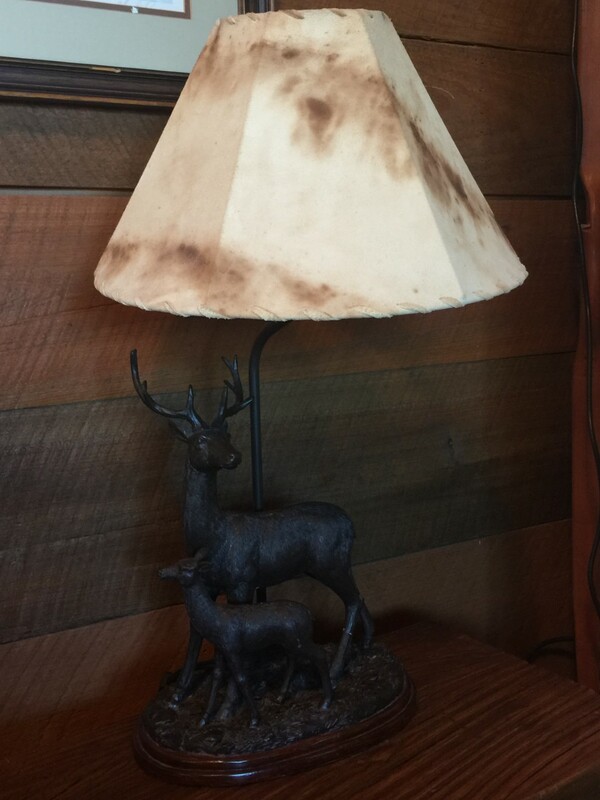 From the comfortable leather sofa, rustic decor and artistic touches throughout, everything is picture perfect. 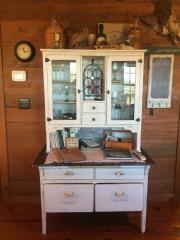 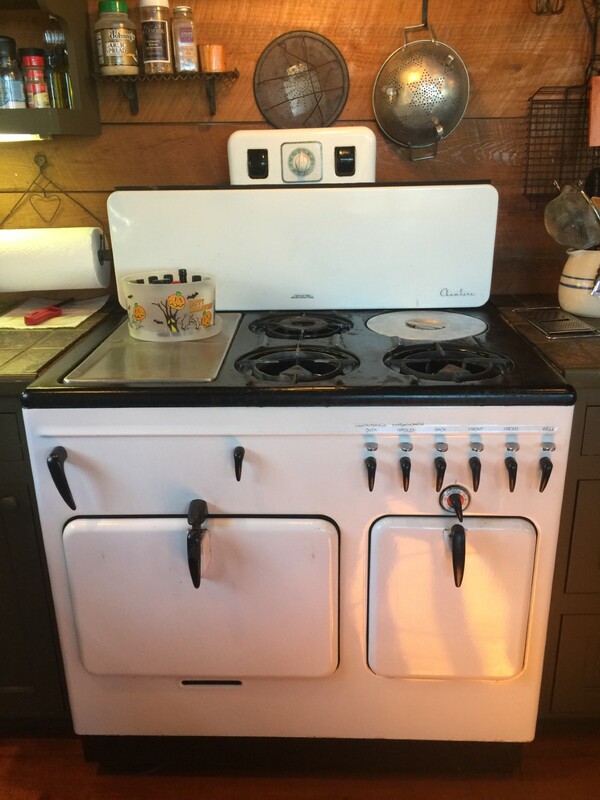 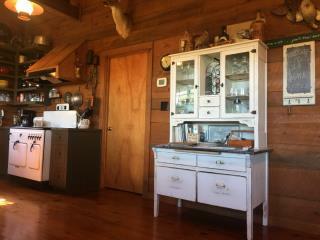 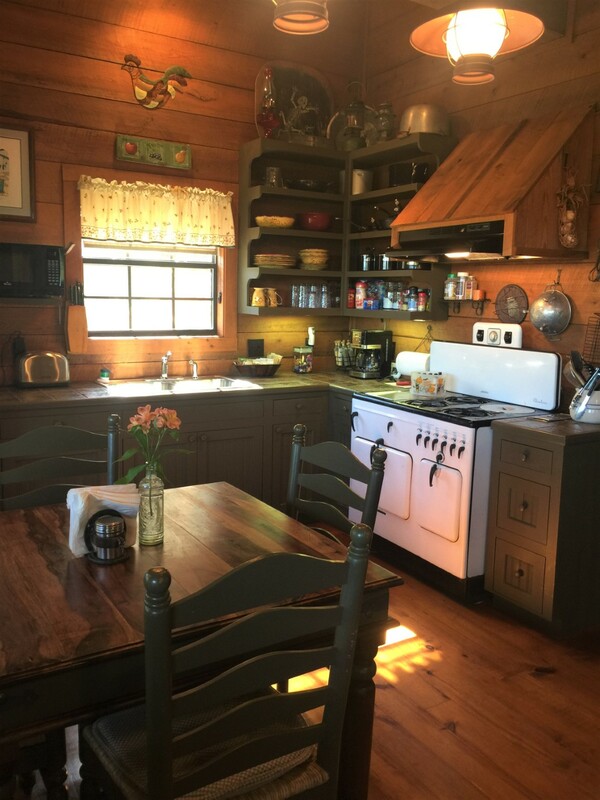 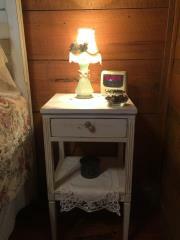 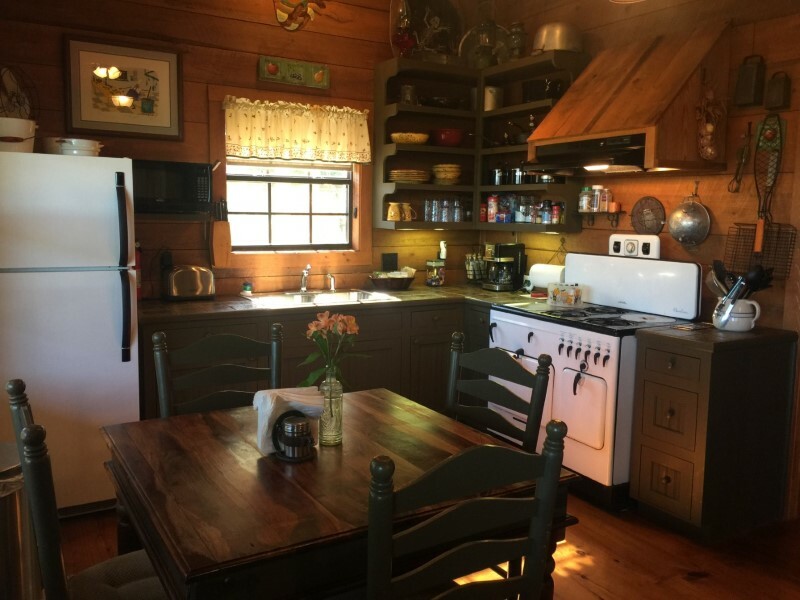 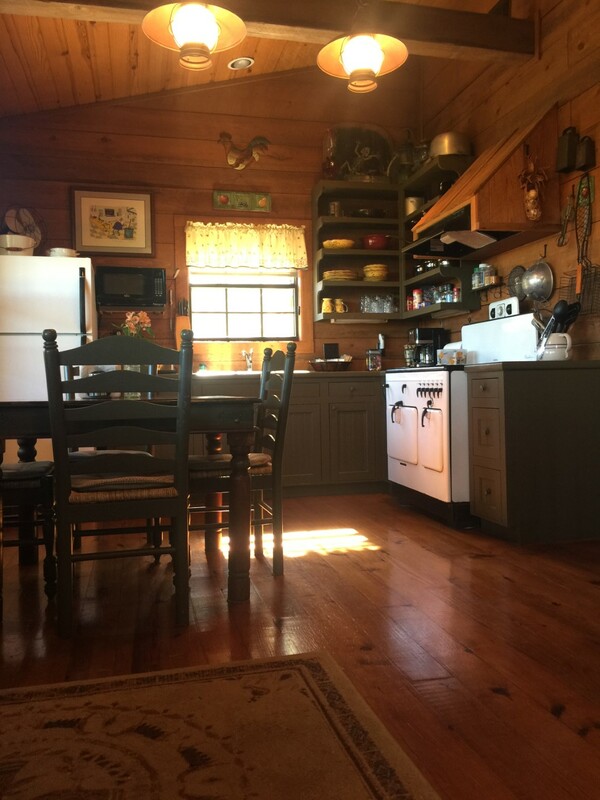 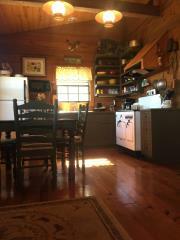 The quaint kitchen centers around the owners family heirloom stove that is fully functional. 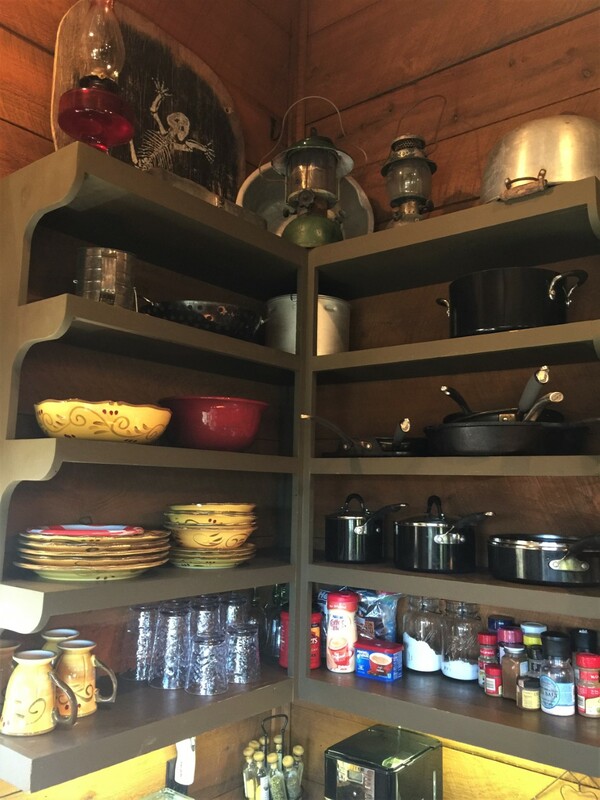 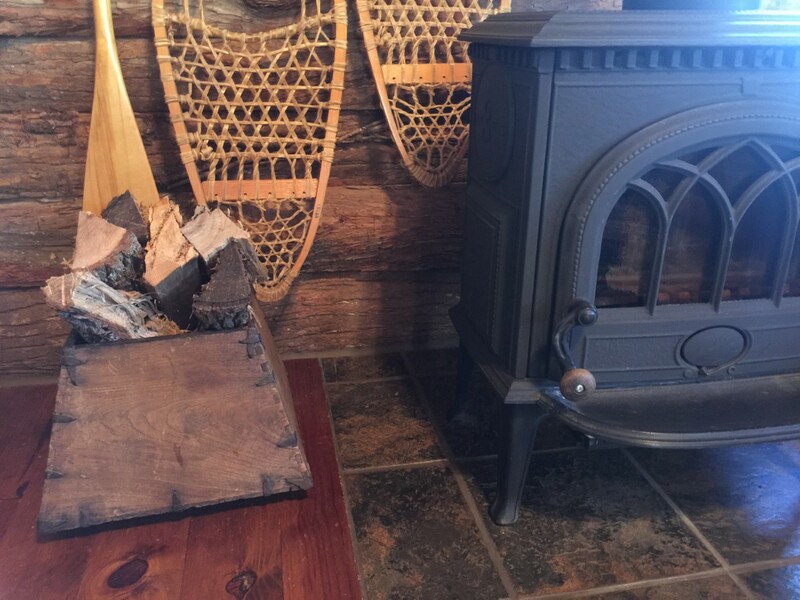 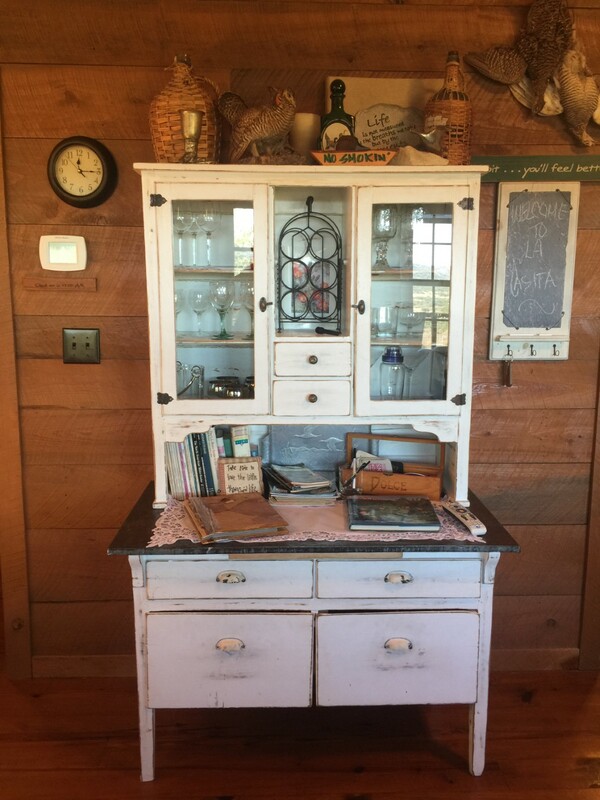 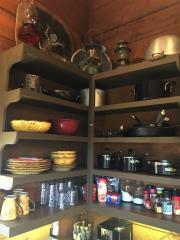 The custom made stove vent is from reclaimed barn wood, and the corner cabinet is well stocked. This is the place to relax, reconnect and start counting your blessings. 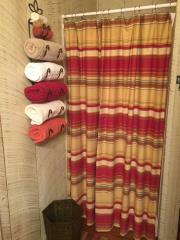 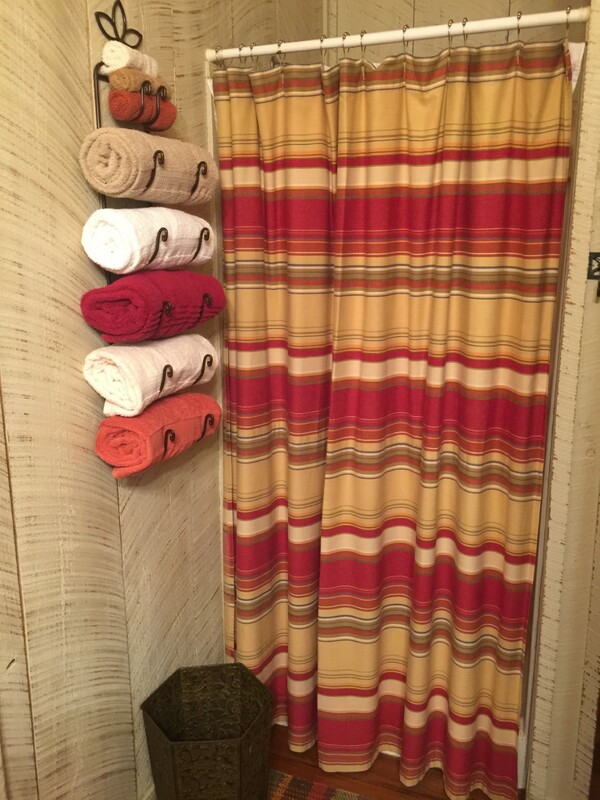 The added bonus is both sheets and towels are included in the nightly fee. 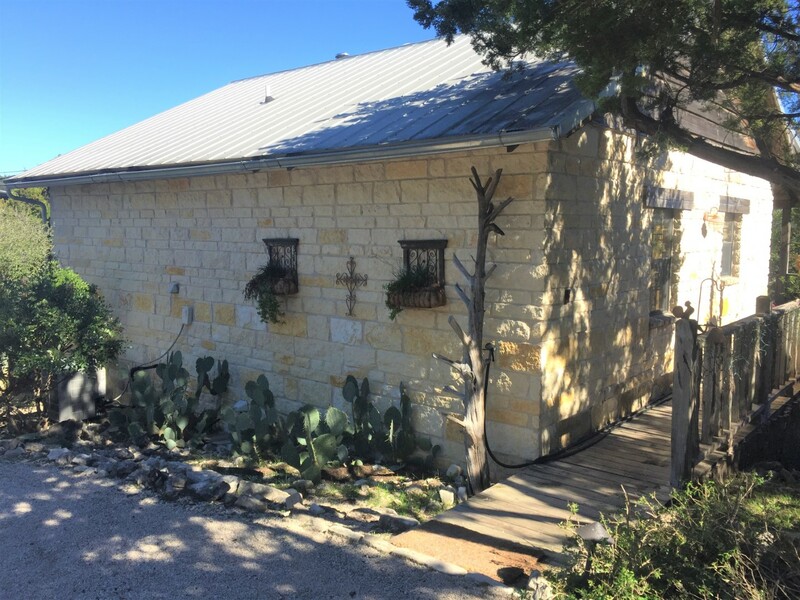 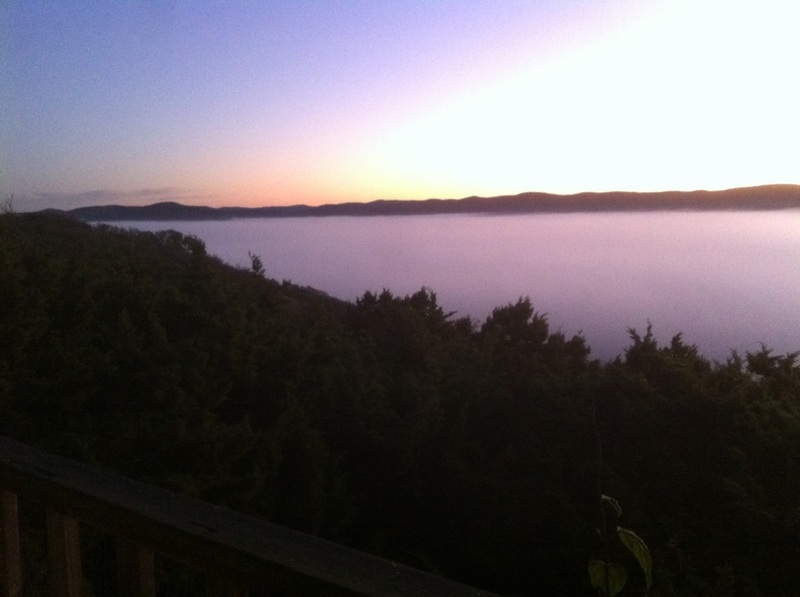 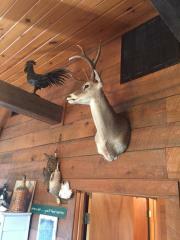 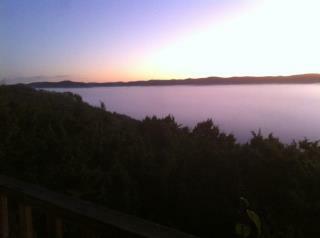 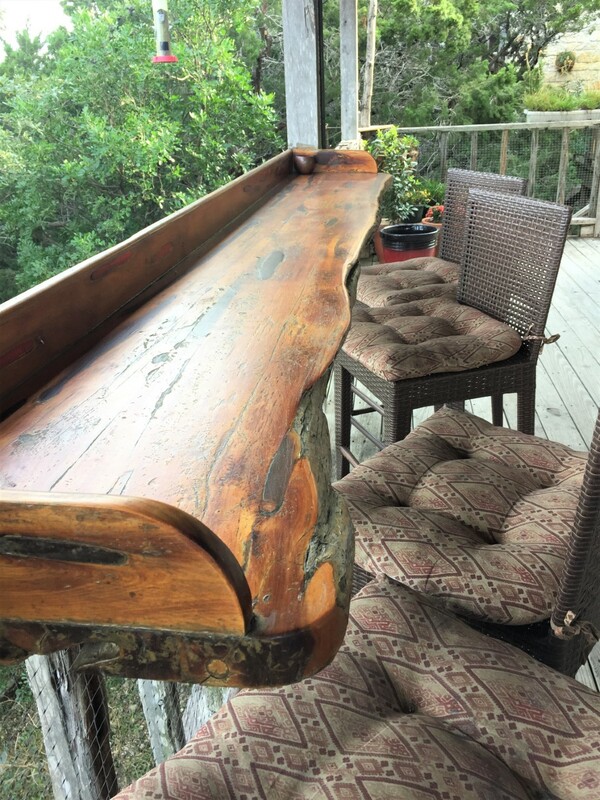 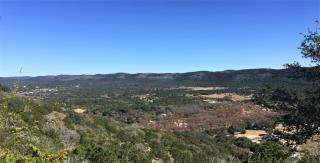 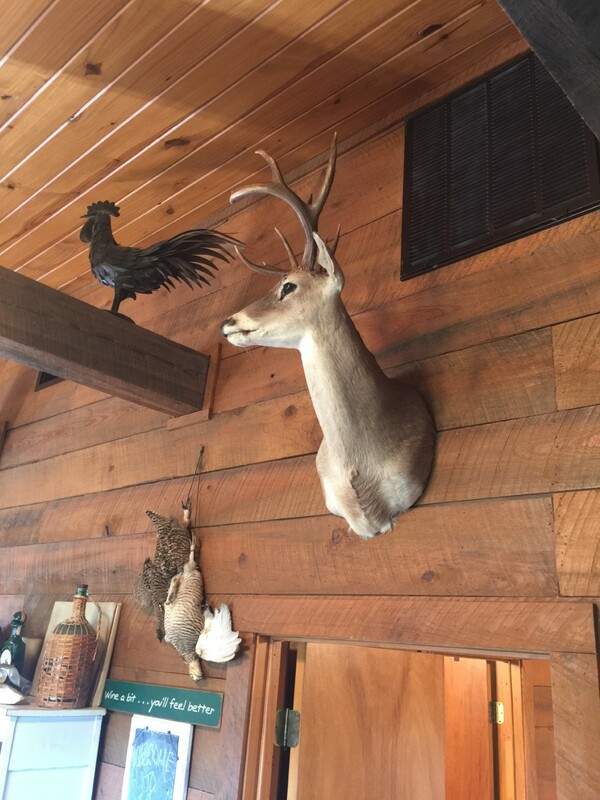 "Spectacular Views, Frio River Mountain Range, Picture Perfect Cabin! 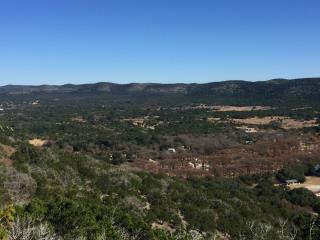 Excellent view from the deck, very nice casita. 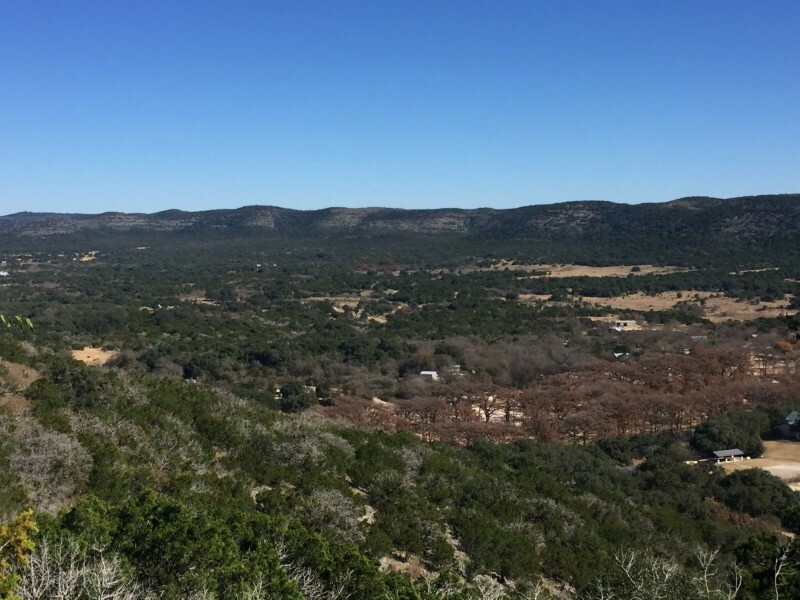 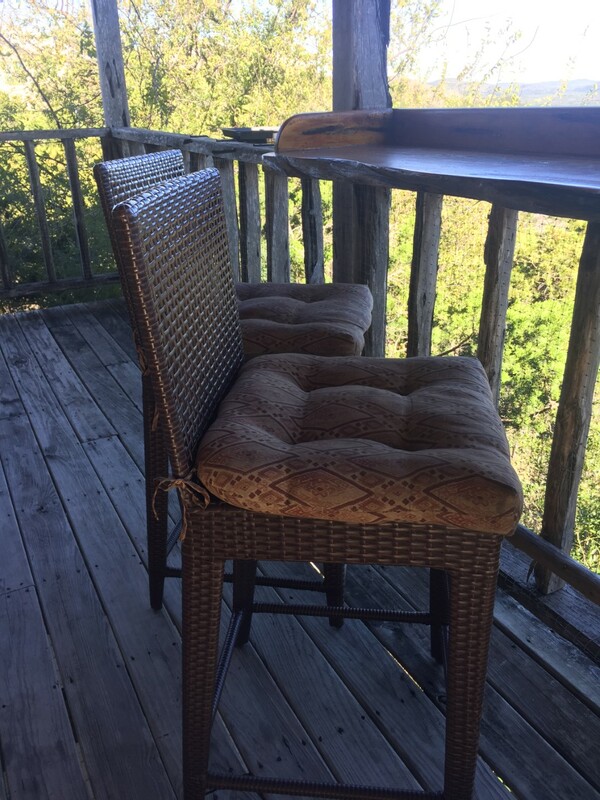 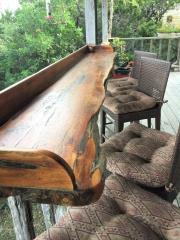 Easy access for Rio Frio, Garner and Lost Maples state parks."